The comparative report from Lite J. Nartey and Olayinka David-West exploring dynamics of mobile money utility amongst poor unbanked users in Nigeria and Ghana has just been released. Filled with analyses, research tools, and informative wordles, and colorful infographics. View the full report here. • The mobile money services offered are basic and ranked at the bottom of the hierarchy of consumer financial needs. • Although the mobile money services offered are supported by a myriad of value creation and delivery processes, the low adoption levels are indicative of additional efforts in the value delivery activities like market development and segmentation. 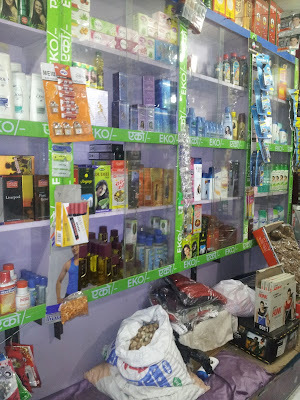 • Direct marketing is a useful tool to encouraging both awareness and a better understanding of the product. However, more needs to be done to increase base awareness and actually encourage users to try to these platforms. • In Nigeria, the relatively low adoption and utility rates do not support innovative uses by the targeted users. • In Ghana, despite the low adoption rate, the service is highly favored amongst those that actually do use it. • The use of informal savings schemes like susu or ajo that provide savers with a pool of funds to facilitate substantial payments are a popular and preferred savings method. The use of transportation services is a substitute for remittance services; however, the transfer and resale of mobile airtime are also employed for small amounts. Read blogpost summarizing key findings. Deepti KC and Mudita Tiwari's comic books to help women from low-income communities to save money features eight illustrated tales document the financial problems – based on real life in Mumbai – that the female characters face, and how they resolve crises through managing and modifying behaviors. "From the slums of India, two comic book heroines have sprung." 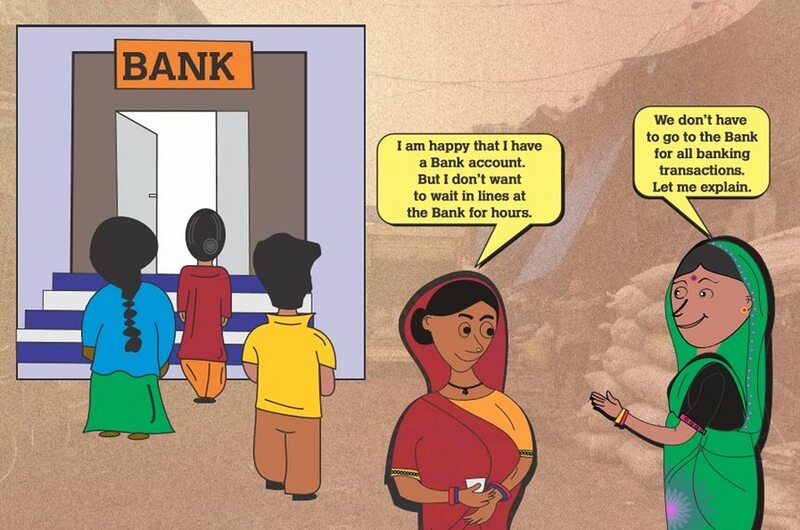 Researchers found that any tool meant to educate women about the power of a safe, informal banking channel must appeal to children and women, be respectful, and show the challenges that female entrepreneurs face when managing their income without access to convenient financial services. A comic book and illustrated characters mirroring these women provides the perfect, immersive vehicle. So Tiwari and KC worked with worked with Creative Rats, a design and illustration company based in Baroda, India. With its creative director, Ritesh Gohil as illustrator, the comics tell stories of two relatable characters – Saraswati, a vegetable vendor, and Radha who works at a factory making thin, crisp wafers called “papad”. Both work in a big urban slum." View Part 1, "See you in the funny papers: women love comics about financial literacy"
Full report of their research can be found here. Comics proved successful in teaching women in India about personal finances. "Deepti KC and Mudita Tiwari always wanted to help women from low-income communities to save money. Having both grown up in Jharkhand, India – and KC, additionally, in Nepal – they knew firsthand the struggles of low income and lower caste women to get ahead. “Women must run their households, feed their children, save for healthcare expenses and their children’s future education – all on a limited salary. And many are single mothers too, maintaining the financial weight on their shoulders,” Tiwari says. 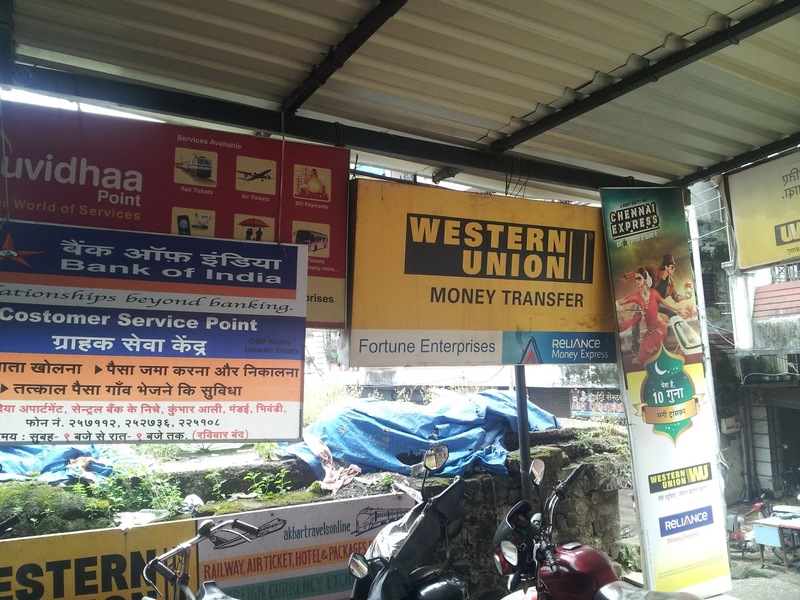 So in 2012, as researchers with the Institute for Money, Technology and Financial Inclusion (IMTFI), housed within the University of California, Irvine, the pair traveled to India to launch a financial literacy campaign for women. “This audience seemed most affected by the banks not including them within their channels,” Tiwari explains. They eventually realized that any tool meant to educate women about the power of a safe, informal banking channel must appeal to children and women, be respectful, and show the challenges that female entrepreneurs face when managing their income without access to convenient financial services. As it turns out, comic book and illustrated characters mirroring these women provides the perfect, immersive vehicle. Mudita and KC see additional use for their free, downloadable financial literacy materials, including partnering with evangelists and technology providers to help distribute their product to nonprofits working with low-income women. Android and iPhone apps will help nonprofits adapt the materials. Make women the front and center in any marketing materials to ensure products and campaigns are authentic and actually appeal to them. Be empathetic. Understand the obstacles that slum women face when saving, like household conflicts, living in a male-dominated society and having no time to spare for standing in a long bank line. Use characters and models resembling the market: female entrepreneurs from poor households. 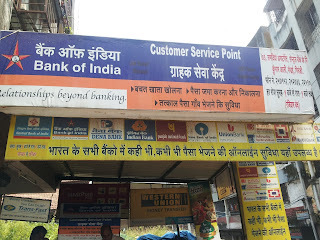 Provide female officers to speak sensitively to women at banks and post offices – only then will those customers feel comfortable asking questions. Extend brick and mortar banks’ hours to 8pm. Ensure in high-density areas that ATMs don’t run out of cash or shut down. Help employers provide more automatic savings options." Find pdf of the feature story from The Guardian here. Deepti KC has a Bachelor’s degree in Civil and Environmental Engineering from the National Institute of Technology (NIT) – Jaipur and has a Master’s degree in Environmental and Public Health Engineering. She also has a Master’s degree in Fundraising Management and Nonprofit Administration from Columbia University. Deepti currently works as a Senior Manager and is involved in carrying out several research projects relating to financial inclusion. Mudita Tiwari holds a Master's in Public Policy and a Master's in Public Health (Epidemiology/Biostatics) from the University of California, Berkeley, and a B.B.A in Information Technology from Cleveland State University. At CMF, she is working on research evaluating the impact of microfinance, financial inclusion, financial literacy programs, and agricultural financing programs in the states of Uttar Pradesh, Bihar, Maharashtra, Punjab, Tamil Nadu, and West Bengal. The full report of their research can be found here. When we decided to work on mobile savings in Tanzania, we had an initial understanding of the value of formal savings from the economics literature. 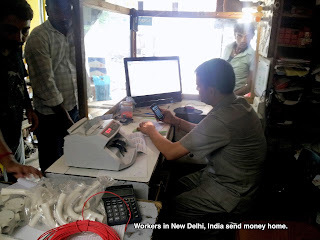 We knew that savings accounts — from banks or mobile money operators — were becoming increasingly common in many unbanked areas of the world, and that adopters derived some important benefits from their accounts (Dupas and Robinson 2013; Prina 2015). What was less clear, and became the focus of our work, was the extent to which savings accounts generate social benefits (or costs). In particular, we became interested in measuring the extent to which savings accounts generate “network spillovers”— that is, impose benefits or costs on the adopters’ social network. The questions we posed to ourselves were: Do savings spillovers exist? Are they positive? Negative? Or both? Who gains and who loses? Finally, does savings generated through mobile money accounts lead to such spillovers? We have several reasons to believe that spillovers from savings exist and have important policy implications. Conceptually, positive spillovers may arise because savings access appears to raise the incomes of adopters, and a long line of economic research indicates that income gains may be shared among social networks. Mobile money facilitates transfers, and therefore could also facilitate this type of spillover. The case for negative spillovers is more nuanced, but also plausible. Existing economic theory indicates that savings could encourage “shielding” cash from social networks. In practice, we have evidence from sub-Saharan Africa that households appear to attempt to avoid “kin taxes,” (see Baland et al. 2011; Dupas and Robinson 2013; Jakiela and Ozier 2012) and savings accounts may play a role in this avoidance. Given this premise, we hypothesize that different members of a social network may experience different effects. “Altruistic” ties (those characterized by “I want to share”) may experience positive benefits while “obligatory” ties (characterized by “I have to share” may experience negative effects). If obligatory ties tend to be poorer to start with, inequality may widen and, in turn, inequality may aggravate negative effects through a vicious cycle. Once we decided on the hypothesis, we set on creating a randomized control trial that would allow us to generate, measure and ultimately study these spillover effects. At the time of writing this blog, we have completed all aspects of the trial and are working on the analysis. In our research, we distributed mobile savings accounts to approximately 1,500 participants in 33 rural and peri-urban areas of Zanzibar (Tanzania), and then studied the effects of adoption of these accounts on the adopters’ social networks through follow-up interviews. 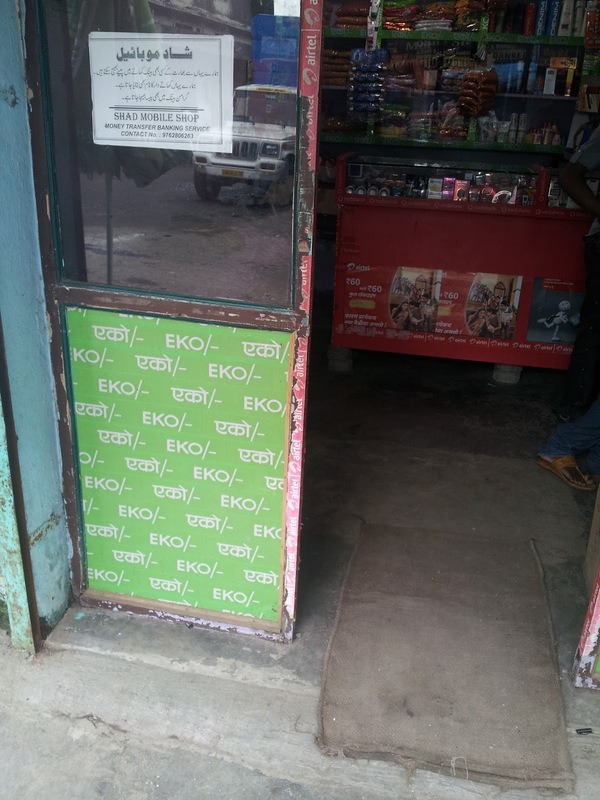 This work was done in partnership with Zantel, Zanzibar’s leading mobile phone operator whose mobile money product, called EZY-Pesa, allows deposits and withdrawals through local retailers. At the start of our study, this product was not widespread outside Zanzibar Town, and Zantel agreed to implement a marketing campaign tied to the study. Our work began in September of 2013. Our research partners in Tanzania advertised a community meeting where a study tied to savings accounts was carried out. We then surveyed those individuals who showed up to the meeting and had expressed interest in opening a mobile money account. We collected baseline data on their income, occupation, and other socioeconomic markers. In addition, we collected information about their “key network partners”: financial partners, friends, advice-givers, etc. The key partners were ranked by respondent on the basis of questions such as “Imagine you got a surprise payment of Tsh 100,000 (~$65). Who would you most want to keep this secret from? Who least?” This way, we were able to identify other people in the community who were likely to be either an “altruistic” tie, or an “obligatory” tie. Following the interviews, we coordinated a mass marketing campaign with Zantel in October through December 2013. We randomly assigned some of our baseline respondents (“focal respondents”) to receive help signing up for EZY-Pesa. The marketing visit included a one-on-one explanation on how to operate EZY-Pesa to accumulate savings. Importantly, marketers were not allowed to talk about the transfer features of EZY-Pesa. Finally, to encourage usage, we also made a Tsh 2000 (~$1.25) initial deposit in their new EZY-Pesa accounts. The remaining households were randomly assigned to receive Tsh 2000 in cash, no marketing visit, and no sign-up assistance. In summer 2014, we identified baseline respondents (“focal households”) plus one tie we deemed to be “altruistic” and one tie we deemed to be “obligatory”. Ultimately, we were able to gather information from a large number of participants—over 1,500 focal individuals and 2,500 of their social ties. In this endline survey we collected information on demographics, informal transfers, and demand for savings. Respondents were also asked whether they received a marketing visit in October through November from Zantel, and whether they opened a mobile account. We used the answers to these two questions to determine how well the marketing intervention went. Marketers were instructed to enroll in EZY-Pesa only those focal individuals who were randomly assigned to the treatment. Unfortunately, the marketing visits were not targeted as agreed, complicating our efforts to study their causal impacts. We found that only one quarter of treatment individuals reported being visited by Zantel representatives; moreover, one fifth of focal individuals assigned to the control reported receiving a visit. (A much smaller fraction, 13%, of ties reported a visit from marketers). Since there is not much difference in the likelihood that a focal person received a marketing visit, we could not use standard methods of analysis for experiments. Despite this setback, we find that the marketing visits were effective at signing up new users: 40% of visited treatment individuals opened an account. This is higher than take-up rates of microfinance (e.g. Banerjee et al. 2015). Of those who signed up, 52% used the account “actively” (two or more times), a figure similar to findings for traditional savings accounts in Kenya (Dupas and Robinson 2013). Fortunately, a much smaller proportion of visited control individuals (24%) and of visited ties (19%) opened a savings account. We interpret this to mean that many Zantel marketers indeed declined to sign up those not formally assigned to the treatment. Because of this, we do observe a statistically significant (albeit small—only 5%) difference between the fraction of all treatment individuals opening an account and the rest of our respondents. Just because marketers did not follow the instructions provided does not mean we cannot uncover the spillover effects. By pairing each focal individual who received a marketing visit with another focal individual who was skipped by the marketers but has very similar characteristics, we can use “matching” techniques to study both positive and negative spillovers on the paired ties. While we now working through this analysis having derived certain lessons from our intervention. First, (mobile) savings are not for everyone: of a group that expressed interest in EZY-Pesa, 40% of those who received a marketing visit signed up for an account and among these only half of those who signed up used the account actively. While there is an active discussion on the importance of reducing fees and entry costs, our study suggests that reducing those costs to zero is not enough. Costs are not the only (or perhaps even the main!) barrier to adoption. Second, we think that our partnership with Zantel had an important benefit: having done almost 700 marketing visits was certainly a big accomplishment, and it increased “external validity” (and hence the scalability of the intervention). On the other hand, the scale did come at a cost: there was noncompliance in the way marketers approached local communities, and this reduces the study’s “internal validity” (i.e. ability to estimate causal impacts without additional assumptions). It will be interesting to see if future studies will emerge that can address the latter. Baland, J.M. , Guirkinger C., and Mali, C. (2011). Pretending to Be Poor: Borrowing to Escape Forced Solidarity in Cameroon, Economic Development and Cultural Change, 60(1), 1 - 16. Banerjee, A. V., E. Duflo, R. Glennerster, and C. Kinnan (2015). 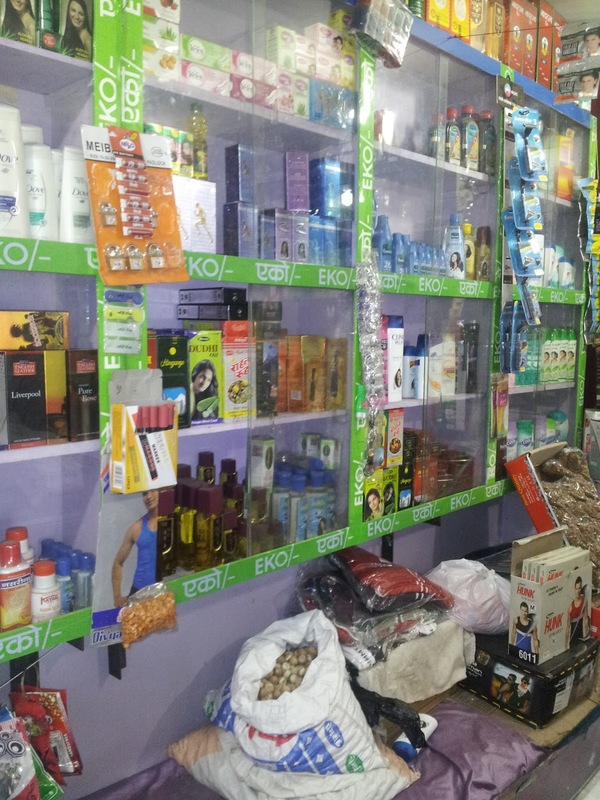 The miracle of microfinance? Evidence from a randomized evaluation. American Economic Journal: Applied Economics 7(1): 22-53. Dupas, P. and J. Robinson (2013). Savings constraints and microenterprise development: Evidence from a field experiment in Kenya. American Economic Journal: Applied Economics 5(1), 163–92. Jakiela, P. and Ozier, O. (2015) Does Africa Need a Rotten Kin Theorem? Experimental Evidence from Village Economies. Review of Economic Studies. Prina, S. (2015) Banking the Poor via Savings Accounts: Evidence from a Field Experiment. Journal of Development Economics, 115: 16-31.